Each year, Glasgow always go above and beyond throughout the Autumn and Winter months with a fantastic lineup of events. If you’re planning to visit Glasgow over the next few months, you are in for a treat! First up, the brand new event run by itison – GlasGlow – has officially kicked off at Glasgow Botanic Gardens and will run until the 11th of November 2018. 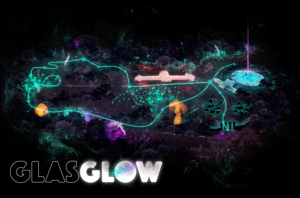 Think “Game of Thrones” meets “Stranger Things” as the event will showcase an immersive landscape of light, sound and fantasy by the imaginations behind itison Drive-In Movies. Over 30,000 tickets have already been sold and with many dates now sold out, it’s worth checking for availability and purchasing your tickets now. Don’t miss out! Have your heart set on Glasgow this winter? Find some great self-catering places to stay here. View some other things to do here. It wouldn’t be Christmas without a visit to Oban Winter Festival! Now in its 8th year, the festival takes place from 16th – 25th November 2018, continuing to build in popularity each year and offering more and more opportunities for locals and visitors to get involved. 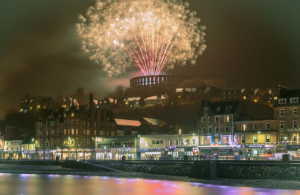 An extensive programme of events includes street and reindeer parades, Haggis Festival, Whisky Festival, Gin Festival, local food and drink produce, performances from a variety of talented musicians including the Oban Pipe Band, culminating in Fireworks to round off the festivities. As well as the wide variety of events taking place over the 10 days, there are plenty of great pubs and eateries within Oban town centre, and a short drive away open all year round. Is Oban calling your name? Check out these fantastic self-catering properties here. Other things to do here. Scotland’s capital – Edinburgh – never fails to amaze throughout the winter months! Whether you are in the mood for some Christmas shopping and festive celebrations with friends, or simply to get into the festive spirit, a trip to Edinburgh is worth a visit. 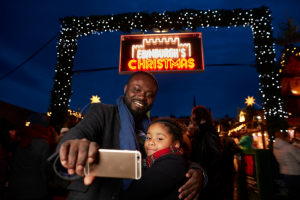 East Princes Street Gardens Christmas market brings together a collection of independent traders from around Europe offering traditional gifts, handmade items, festive food and drink stalls from 17th November 2018 until 5th January 2019. The addition of the big wheel and the backdrop of Edinburgh Castle lining the sky adds something extra special to the experience – giving you a truly unique festive experience to savour. Of course, bringing in the bells in Edinburgh during Hogmanay is a must do once in your life! Visitors from all around the world flock to the streets of Edinburgh for the famous Hogmanay Street Party on 31st December to see in the New Year. The night before Hogmanay, the lead up begins with a Torchlight Procession beginning at the Royal Mile and ending in Holyrood Park. Once the New Year bells have been brought in, celebrations continue on New Year’s Day as Princes Street Gardens plays host to the Concert in the Gardens. Each year expect a fantastic selection of bands playing in Princes Street Gardens – this year look forward to Free Love, Metronomy and headliners, Scotland’s very own, Franz Ferdinand. Ready to get in the festive spirit in Edinburgh? Find some fantastic self-catering places to stay here.